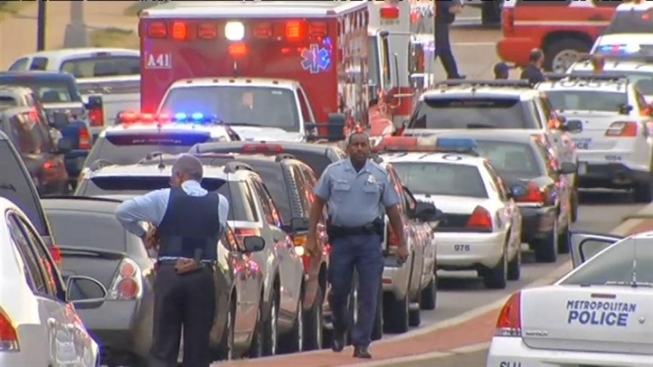 Police have identified all of the victims of Monday's shooting spree at the Washington, D.C., Navy Yard, as they begin to piece together more about the man who killed 12 people and injured eight others in one of the deadliest single events ever in the nation's captial. The gunman, 34-year-old Aaron Alexis of Fort Worth, Texas, acted alone in killing 12 people and injuring eight others before he was also killed Monday, the FBI said at a Tuesday afternoon press conference. They've also determined that Alexis entered the building armed with a shotgun, and sources close to the investigation have told News4 that he retrieved a handgun from one of his victims. And investigators have learned that Alexis said he heard voices, that he had trouble sleeping and that his family believed he suffered from PTSD. Only essential personnel were allowed to return to the Washington, D.C., Navy Yard Tuesday following a shooting that left 12 people dead and eight others injured Monday morning. News4's Richard Jordan reports. Among the eight injured was a D.C. police officer, identified as Scott Williams, who was shot in the leg while responding to the shooting, D.C. Mayor Vincent Gray reported late Monday. Doctors say they hope Williams will be able to walk again after undergoing hours of surgery. None of the people killed is reported to be military personnel. The rest of the injured individuals suffered non-life-threatening injuries and are expected to recover. FBI and ATF agents searched a D.C. hotel Monday night where Alexis, who recently began work as a civilian contractor, was reportedly staying with five co-workers in town for business. 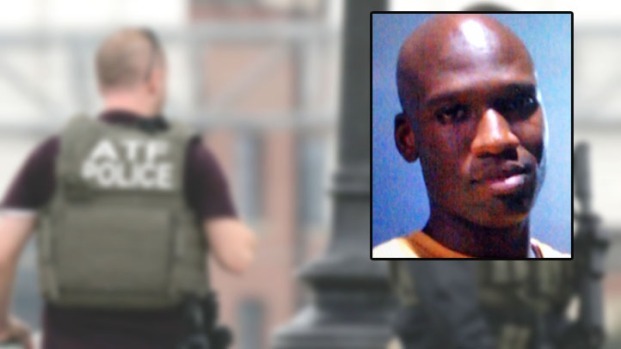 Navy Yard gunman Aaron Alexis had at least two previous run-ins with the law involving guns, authorities said. Alexis, who served as a petty officer in the Navy between 2007 and 2011, had been previously arrested in gun-related incidents. He moved to the D.C. area about four months ago from Fort Worth and was working for The Experts, a subcontractor of Hewlett Packard that had been hired to work on computers at the Navy Yard. Originally from New York City, Alexis has siblings who still live there. "No one saw it coming," said Alexis' brother-in-law Anthony Little. 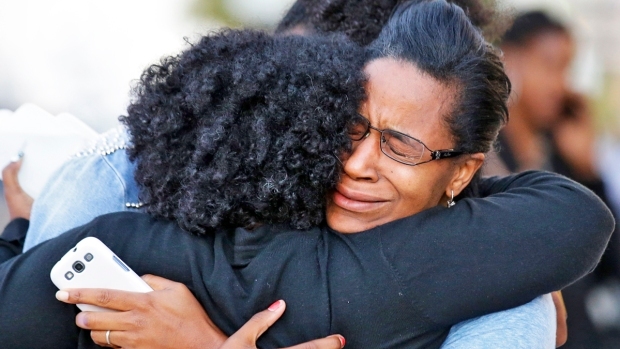 "No one knew anything, so all of this, it's just shocking." Postponed Nats Game Scheduled for Tues.
Alexis opened fire before 8:30 a.m. Monday in the lobby and on the third and fourth floors of Building 197 of the Naval Sea Systems Command Headquarters in southeast D.C. Survivors recalled sprinting from the sound of gunfire. Bullets hit walls, and people fell to the floor, bleeding. Officials reported Alexis had "legitimate access" to enter the Navy Yard at the time as a civilian contractor, using a valid pass. "I was in the cafeteria, just paid for my breakfast," Patricia Ward said. "I was waiting for my friend to pay for hers when we heard the gunshot. It was three gunshots straight in a row, pop pop pop. Three seconds later, it was pop pop pop pop pop, so it was like about a total of seven gunshots, and we just started running." 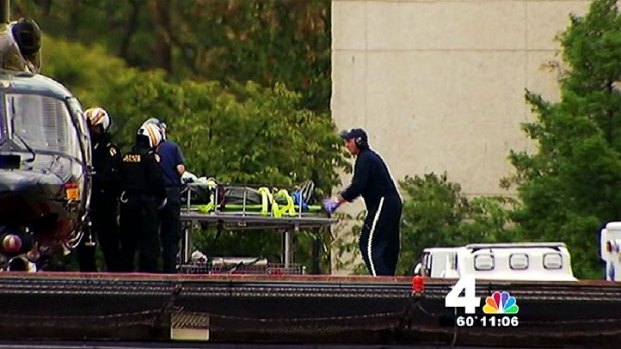 MedStar Washington Hospital Center said the three shooting victims transported to their hospital following Monday's deadly shooting at the Navy Yard are doing well. News4's David Culver reports. Alexis entered the building armed with a shotgun, FBI Washington Field Office Assistant Director Valerie Parlave said at the Tuesday press conference. There is no evidence that he had an AR-15 assault rifle - the type of weapon first-responding D.C. police officers had - at any point during the shootings. Sources confirmed to News4's Shomari Stone that Alexis did use a pistol acquired from a security officer he shot, though it is unclear if he hit anyone with shots fired from that pistol. Alexis had purchased a shotgun lawfully in Lorton, Va., during the past week or so, NBC News correspondent Pete Williams reported. The gun store issued a statement Tuesday: "In light of the many questions surrounding the event, it is not appropriate to provide any comment at this time, except to affirm that Sharpshooters fully complies with all requirements to conduct background checks on all potential purchasers as required by law, and to further affirm that all purchasers are required to comply with all laws concerning allowed purchases," read an emailed statement from Sharpshooters Small Arms Range of Lorton, which is cooperating with investigators. 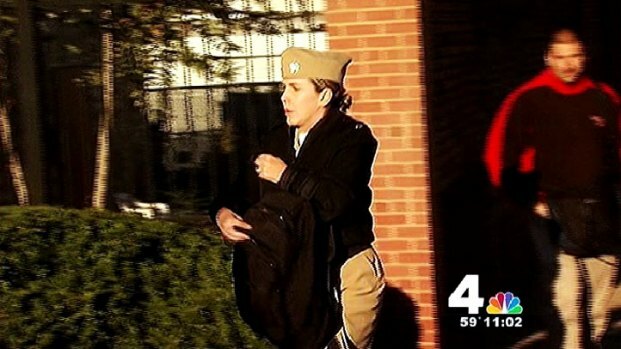 The FBI said Alexis used a valid pass to enter the building along the Anacostia River, where 3,000 Navy employees go to work each day, many of them carrying authorized firearms. His attack threw much of southeast D.C. into pandemonium, which continued after he was killed, as authorities for several hours investigated the possibility of more than one gunman. Eight nearby schools were put on lockdown before authorities gave the all-clear. D.C. Metropolitan Police Department Chief Cathy Lanier said Tuesday the decision to shelter-in-place was the best decision while they investigated that possibility. Terrie Durham, a civilian employee in the Office of Naval Sea Systems Command, was looking for a way out and glimpsed the gunman down a hallway, about 40 feet away. He was wearing blue, a uniform, maybe, and held a rifle. He said nothing. Then he fired. "He aimed high and missed," Durham said. "I saw where the shot missed. It was a few feet ahead of us and a foot or above where we would have been standing." She took off into a stairwell, hollering, "There is a man shooting in the building, get out, get out!" 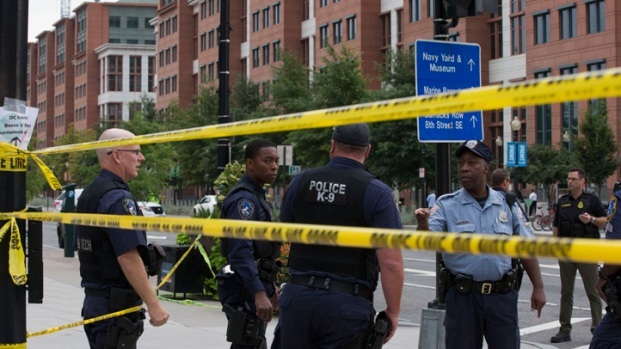 Only essential personnel will be allowed at the Washington, D.C., Navy Yard Tuesday as investigators try to figure out why a gunman killed 12 people and injured eight others inside the heavily secured building Monday morning. FBI and ATF agents searched a D.C. hotel where Alexis, who recently began work as a civilian contractor, was reportedly staying with five co-workers in town for business. News4's Richard Jordan and Tony Tull have more on the search of a motive. MPD and several other law enforcement agencies responded with active shooter teams after a call at 8:23 a.m. reporting the sound of gunshots. 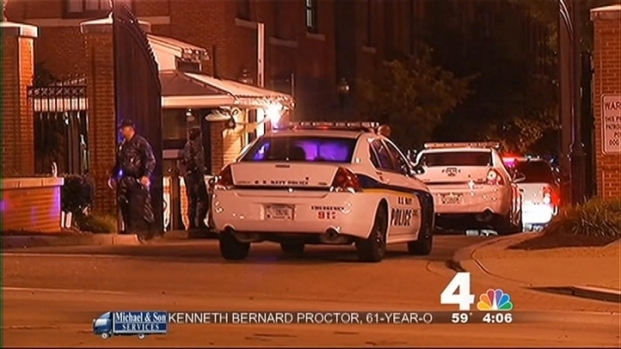 Two nearby MPD units with AR-15s were at Navy Yard in two minutes, MPD Chief Cathy Lanier said. About five minutes after the report of shots fired, first responders were passing through the Navy Yard gates. At the time, police had conflicting reports about which building the shots were fired in, but seven minutes after the report, units outside Building 197 heard more shots fired, and entered. “The response by uniformed police officers from both the Metropolitan Police Department and United States Park Police was absolutely nothing short of heroic,” Lanier said. Investigators began trying to figure out if more than one suspect was involved, and distributed identifying information for two additional suspects. One was ruled out after watching video that tracked the man through the building and realizing that no harm resulted from his movements. By late Monday evening, D.C. police canceled the lookout for the second possible suspect earlier described as armed with a "long gun," saying they felt comfortable they had the "single and sole person responsible." Mayor Gray said suspected gunman Alexis' motive was unknown, though there were reports that he may have had a grudge against the Navy. Flags will remain at half-staff until Friday at sunset in the wake of the devastating events at the Washington Navy Yard. President Obama made the order for all flags to fly at half-staff at military installations and public buildings Monday evening over what he called "yet another mass shooting." “So we are confronting yet another mass shooting, and today it happened on a military installation in our nation’s capital," Obama said from the White House early Monday. "It’s a shooting that targeted military and civilian personnel. "These are men and women going to work, doing their job protecting all of us," Obama said. "They’re patriots, and they know the dangers of serving abroad, but today they faced the unimaginable violence that they wouldn’t have expected here at home." Mayor Vincent Gray, Police Chief Cathy Lanier, Valerie Parlave of the FBI and Congresswoman Elanor Holmes Norton brief press about ongoing search for potential 2nd shooter, additional death reports bringing total death toll to 13, and the FBI urges the public to provide details about known shooter, Aaron Alexis. MedStar Washington Hospital Center said MPD Officer Williams and two women who work for the Navy had been transported to that hospital. The officer was shot in the legs; one woman was shot in the shoulder and the other was shot in the head and hand. 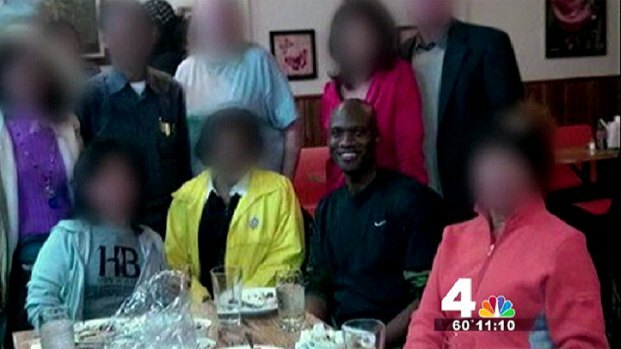 Alleged DC Shooter's Family in NYC: "Shocked"
Dr. Janis Orlowski, the chief medical officer at the hospital, told the Today Show's Matt Lauer Tuesday morning that all three were doing well. Officer Williams is listed in fair condition. Orlowski said Williams was "having pain around the lower legs" but was doing well. Lanier said Tuesday that she knew the officer, and that she was optimistic about his prognosis. The U.S. Navy said the shooting began at about 8:20 a.m. with three shots fired inside Building #197 at the Naval Sea Systems Command Headquarters. U.S. military officials say the gunman first shot the base security officer. The woman who was shot in the shoulder was also listed in fair condition. Orlowski said the other did not require surgery as the bullet did not penetrate the skull. She was shot in the finger and right behind her right ear, Orlowski explained, but the bullet only penetrated her scalp. "She's doing well. She's anxious about her colleagues," Orlowski said. She is listed in good condition. George Washington University Hospital said they had also received a victim, a man in his 60s who had been shot in the temple. Despite efforts at CPR, he was pronounced dead at the hospital. "There's something evil in our society that we as Americans have to work to try and eradicate," Orlowski said. "I have to say, I may see this every day, I may be the chief medical officer of a very large trauma center, but there's something wrong when we have these multiple shootings, these multiple injuries. There's something wrong. The only thing that I can say is we have to work together to get rid of it." As the nation takes a breath and the reality of Monday's mass shooting starts to settle in, several events around the area are planned to honor the victims. Secretary of Defense Chuck Hagel laid a wreath at the Navy Memorial to honor the victims. Cardinal Donald Wuerl, the Archbishop of Washington, held a Mass of Consolation Tuesday afternoon at the Cathedral of Saint Matthew the Apostle on Rhode Island Avenue in Northwest. The church welcomed anyone who needed any kind of support. Monday night, the National Cathedral held a service to remember the victims. The Cathedral offered a special prayer for their families and special responders. Cathedral officials say the cathedral will make ministries available to anyone who needs consolation and refuge. Tuesday evening, the floor of the House of Representatives will fall silent in remembrance of those who died Monday. D.C. Congresswoman Eleanor Holmes Norton will lead a moment of silence at 7 p.m.
Obama: "We Are Facing Another Mass Shooting"
Anyone with information about this incident should call 1-800-CALL-FBI. The FBI wants to talk to anyone who knew Alexis. No piece of information regarding his recent movements, contacts and associates is too small. The Navy created a family support center to assist personnel or family members affected by the shootings. Call 1-855-677-1755. Family members also can log into NAVY Accountability and Assessment System to muster and fill out a needs assessment and a fleet and family support center emergency case manager will call and offer assistance. Stay with NBCWashington on-air and online for more on this developing story.